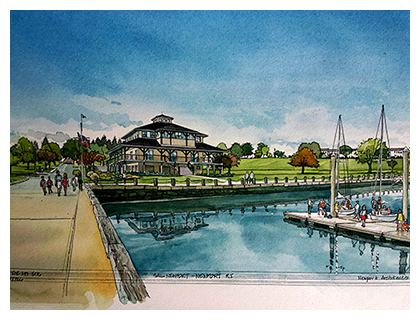 Keough has been hired as owner’s representative for the oversite of construction of the new Sail Newport facility at Fort Adams State Park in Newport, Rhode Island. The 9000 sq ft timber frame facility will house public bathroom facilities on the ground level and meeting rooms, classrooms and offices on the two upper levels. This is a green project that includes state of the art electric and mechanical systems, a rain harvesting system and a solar array on the roof. The design is in keeping with the historic Fort Adams Park.